A few weeks back I shared my plans to go on a 4 week pantry cleanse, and did a horrible job of posting updates – shocking! I’m happy to report that although I didn’t stick to the rigid grocery shopping rules I originally set, we have been making our way through our pantry the last month and a half. Some things got incorporated into meals, some are in a box for the food bank, and sadly others have been tossed. I hate throwing out food, but I love going to my pantry and actually being able to see what I have in it. 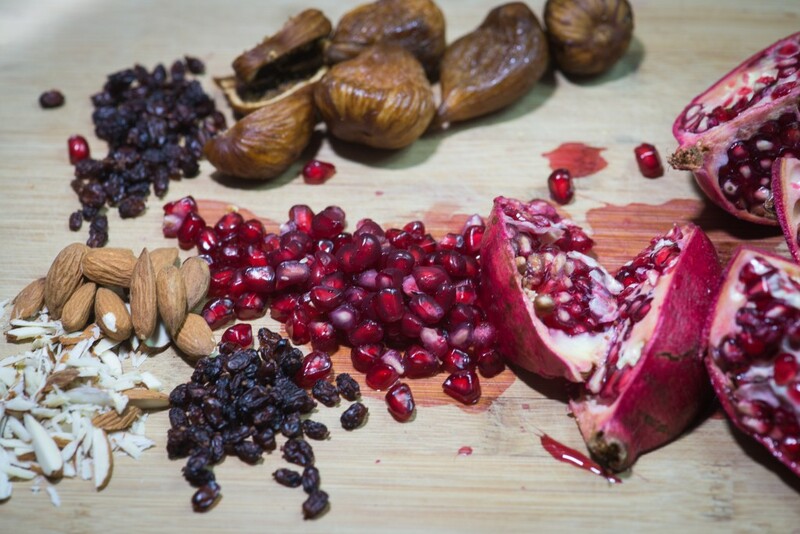 In fact, during one purging session I found some amazing things shoved in the back; saffron from Kashmir that I bought in India, Berberis berries from a Middle Eastern grocery store, and California figs, almonds, and pistachios I picked up at the Food Bloggers Conference in Sacramento. I had forgotten about all of them! The figs made me think about the one lonely pomegranate sitting on in my fridge. 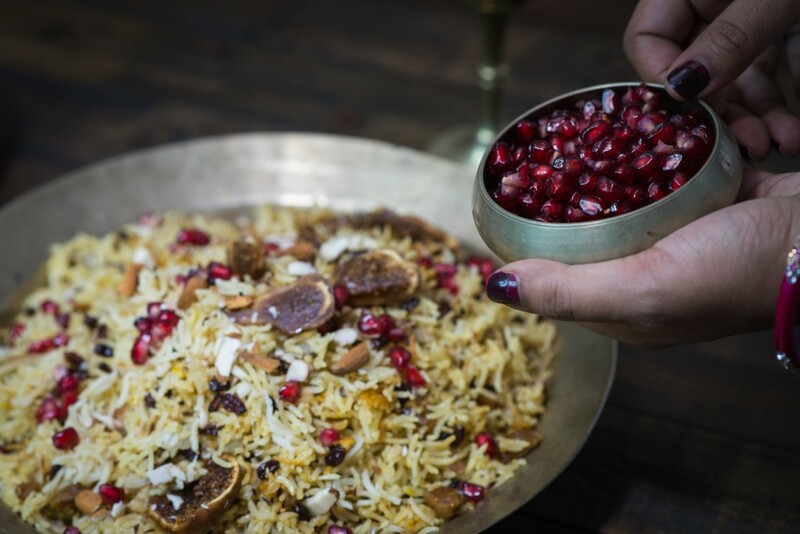 I wanted to create something with a holiday/festive vibe for a client photo shoot, but then I started thinking about the Iranian and Persian rice dishes I’ve seen in cookbooks over the years. 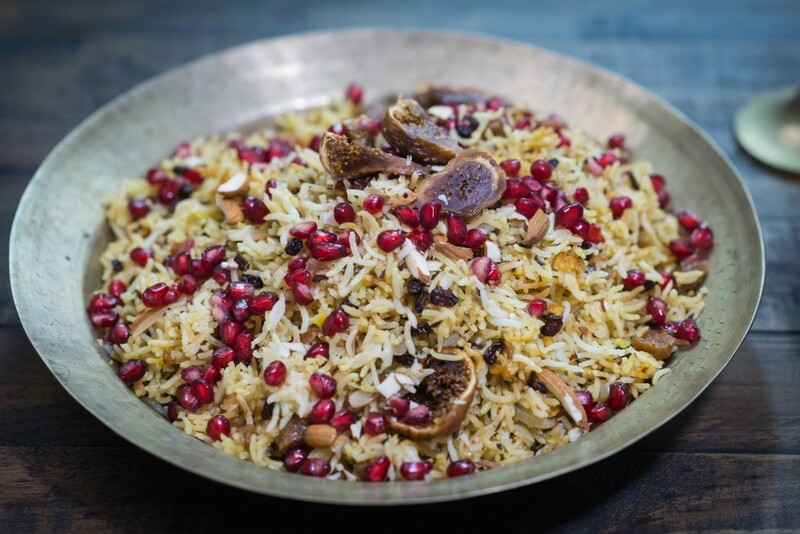 I did a quick google search and landed on this recipe for Jewelled Persian Rice. There were a few things I didn’t have (chicken stock, raisins, and fresh coriander), but I improvised and just went with it. It was the first time in a long time that I just threw things in the pot and waited till the dish was finished to give myself a grade. And it was fun. I had fun in the kitchen – my happy place felt happy again. For some reason I always think a fancy meal requires a lot of thought, preparation, and a special trip to the grocery store. Here I had a feast just waiting to happen in my pantry, the only problem, I couldn’t see it through the clutter. PS: The rice was delicious, and my meat loving friend Aziz (who took these amazing pics) said it was the first time ever that the rice beat the chicken. 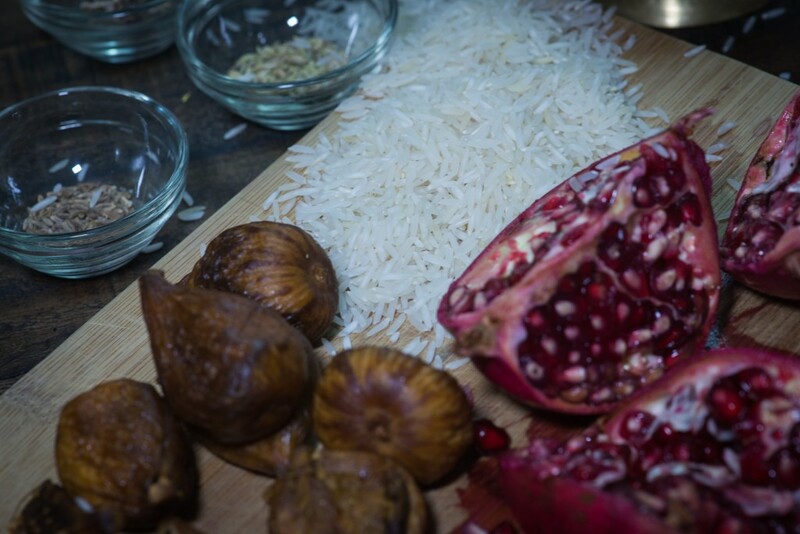 You can read about the start of the pantry cleanse here, and also an update after week 1. This looks like a work of art! Cooking from the pantry, fridge, freezer is always rewarding. 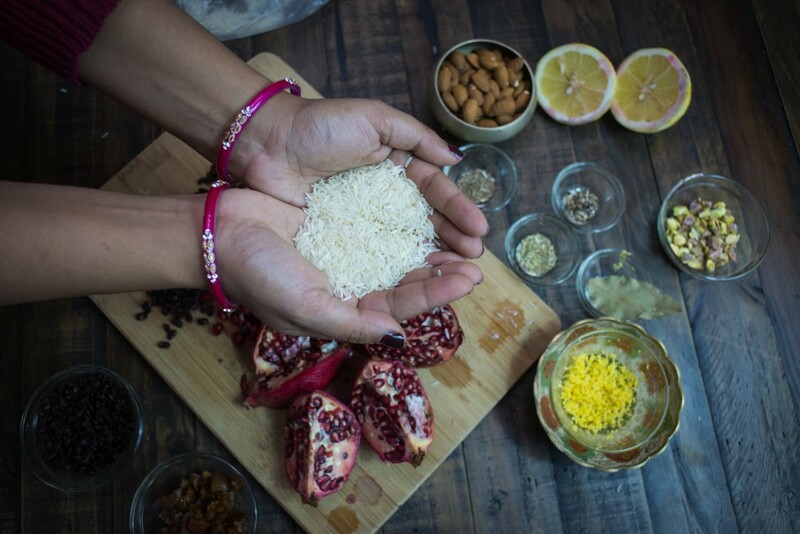 I have most of those ingredients so I might have to make some jeweled rice myself. Though I might have to go back and buy my basic basmatic rice again. I think I’m running short on that particular rice though I have all sort of other rices to use up! Any ideas for 2 yellow bell peppers and 3 small Indian eggplants. I’ve got carrots, celery and enoki muchrooms and not sure what to make?